Probably the most exciting thing to discover about Italy is the new movement sweeping the wine industry. Wine production in every region has well and truly moved into the 21st century of wine production in various ways. The wine industry has well and truly moved out of the past, where there were many growers and vineyards mostly providing their high yield fruit to cooperatives to produce high volume simple wines to mass markets. Hygiene and technology have been well established in the vast majority of wineries to produce clean, stable and wines that are approachable and pleasant to a much wider range of tastes and markets. Taking inspiration from the French influence on the rest of the world, Italian growers have a much better understanding of their terroir than ever before. More importantly they now know much more about how their indigenous cultivars perform in their environments and sites, and how new practices in the vineyard can improve the quality of these unique varieties. The new wave is about making terroir wines that are made from one or more varieties that are the best reflection of their origin. We are in a golden age of Italian wine, and now is the best time to get involved with them as a consumer because as the quality continues to improve and the demand around the world increases, the prices won’t always be this affordable. The final two producers I visited in Puglia are part of this new wave movement, working very closely with growers in the region to provide them with the best fruit possible to make their wines in a modern yet respectful and traditional way. 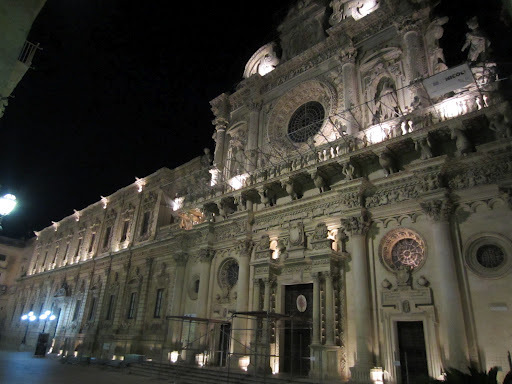 Cantele is located in the heart of Salento, not far from the historic and beautiful town of Lecce, about halfway between the Adriatic and Ionian coasts. The winery was established back at the end of the 70s by the family, who originally hark from Venice. Previous to this the family were wine merchants, driving the length and breadth of the country to purchase wine in bulk from regions like Tuscany, Abruzzo, Umbria and Puglia. The wine was then bottled in their relocated home of Bologna where it as sold to their customers. The family wanted to create a legacy for their children, and this business model was too variable and inconsistent. The opportunity to work with a very important distributor of wines around from around the world presented itself, to sell Southern Italian wine to emerging customers in the United Kingdom. These emerging customers went on to become the most powerful retailers in the country, and responsible for the majority of the wine sold in the country. So the family established the business, engaging growers throughout the Salento region and beyond. Eventually the family decided to purchase some of their own vineyards, which now provide 25% of the fruit, but they still purchase fruit from many growers. In terms of the red wines, the focus had to be on the local varieties of primitivo and negroamarao, but for the white wines they decided to go with chardonnay, and gained a following with the white wines. Foreseeing a shift in the markets both domestically and overseas, the winery has now revived a lesser known indigenous variety known as verdeca, which shows great potential, personality and regionality. The winery is now run by the new generation, four cousins/siblings who are taking the wines into a new era. Admirably they are not attempting to produce wines to a style dictated by market trends or wine critics palates, committed to producing wines that are approachable, food-friendly, authentic and reflective of their place. A new communication strategy has been devised to explore the application of the wines, with food and loved-ones, and they are utilising digital and social medias to do so. Click here to read my tasting notes. 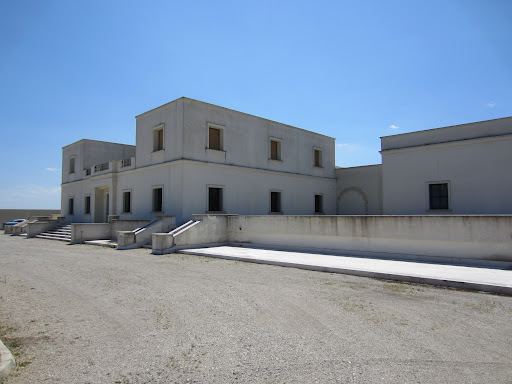 A.Mano is not your average Italian winery, for many and varied reasons. It does however typify the Italian pioneering spirit of discovery and experimentation, harking back to Columbus and Da Vinci. Mark Shannon originally hails from the Central Coast of California, which is where I coincidentally started by journey. Having completed his studies at UC Davis, the best university in the USA for wine, he began working in various parts of the world consulting. When he was invited to Puglia by a colleague, he saw immense potential in the region and the varieties, but the potential was generally unrealised after tasting many primitivo wines. He met the other half of A.Mano wines, Elvezia Sbalchiero, who originally comes from Friuli in the north. After approaching an important grower to discuss purchasing some fruit to make their own wine, they were thrilled to not only find one willing grower but many, as unlike the local cooperatives they were willing to pay on delivery. As word spread the growers started flocking to them to buy their fruit, and thus the hand-made wine revolution began. The wines are designed to express the simple life that they enjoy in the south of Italy, and what nature provides them in terms of the variety, climate and soils. They are so approachable and food friendly, but expressive and full of personality. Click here to read my tasting notes. 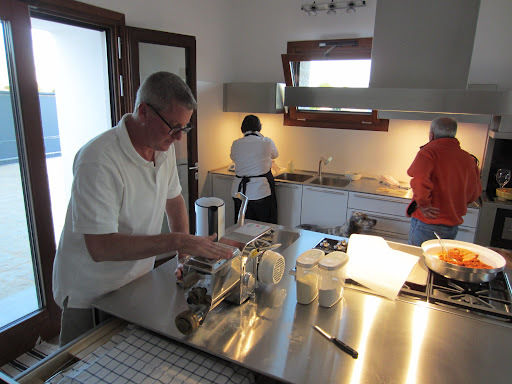 Mark and Elvezia were probably the most welcoming and generous hosts of my time in Italy, and I enjoyed a dinner and lunch with them and Elvezia’s parents, a night at a nearby B&B and use of the washing facilities. Click here to see more photos from Day Three in Puglia. Tune in next time to read about my experiences in Sicily.